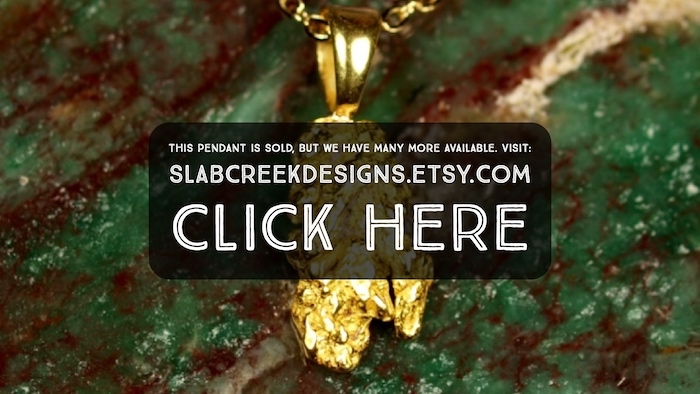 This is a beautiful genuine gold nugget that was made into a pendant. It is a very nice size for a ladies neck, with nice bright colored gold. It weighs 1.50 grams.